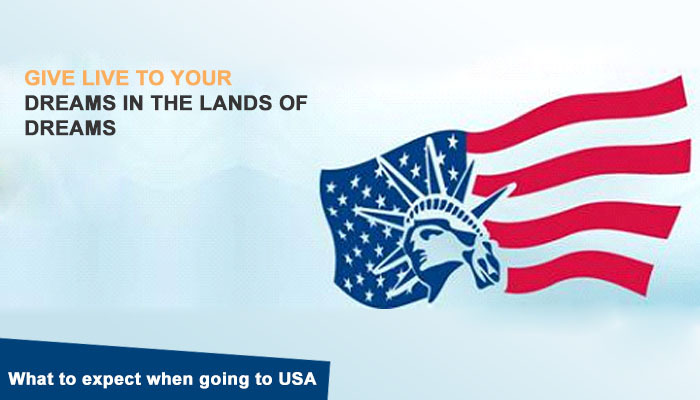 So why do you want to go to the USA? There is, as always, the usual rhetoric that is flung around such as “Home of the brave, land of the free” that is meant to describe why America is such a strong and enviable nation. But ask yourself why you really want to move to the US and take a long look before making the jump. Just like any other nation, America has its ups and downs when it comes to the pros and cons of living here. It is lauded as a tolerant nation, and this is quite true despite what the media would showcase. Those wishing to make the jump from another country to the USA will need to fill out a petition that will be reviewed by US Citizenship and Immigration Services office in order to be considered for immigration status. There is a $220 fee that needs to be assessed as well, and this is only waived under special circumstances. One particular downfall of America’s immigration system is that in the past two decades, especially since 9/11, the vetting process has grown to be unsure with countries that are thought to harbor those that might seek to do harm to the country. Many other countries that have been deemed as allies or on good terms with USA have not been overtly affected by this, but the general feeling is that America has become far more selective in who is allowed into the country and who is not. This might seem a bit tragic to those seeking to immigrate, but the vetting system is in place for good reason, no matter that it is not perfect. America, like many countries, will accept immigrants based upon the fact that they can help to bolster the economy, can fill job requirements, and can even bring about a new and innovative cultural awareness to others. The idea of immigration is to help those who will help the nation they seek to make their new home, and America has been and still is a destination for many seeking to make a new life. Next Post:Why is the UK a Good Place to Immigrate?